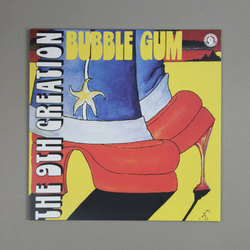 9th Creation - Bubble Gum. Vinyl LP. Bleep. Dig it, folks — the fine people at Past Due Records bring 9th Creation back to vinyl by reissuing their choicest 70s albums. Beloved for its beats and sampled by the likes of Pete Rock and Quasimoto, Bubble Gum is 9th Creation’s essential debut album, and we’re hard-pressed to think of any better opening statement. It’s funky and fun, soulful and sad, and criminally overlooked. ‘Learn To Live’ is worth the entry alone.